Correspondent Marc Marginedas was abducted on Sept. 4 near the central Syrian city of Hama by Islamic State fighters. DAMASCUS, Syria — A Spanish journalist kidnapped by militants from a breakaway al-Qaida group in Syria crossed the border into Turkey on Sunday, his newspaper reported. The news of the reporter’s freedom came as his captors, fighters from the Islamic State of Iraq and the Levant, fled areas near the Turkish border, leaving behind at least two mass graves, with one containing 17 bodies, activists said. 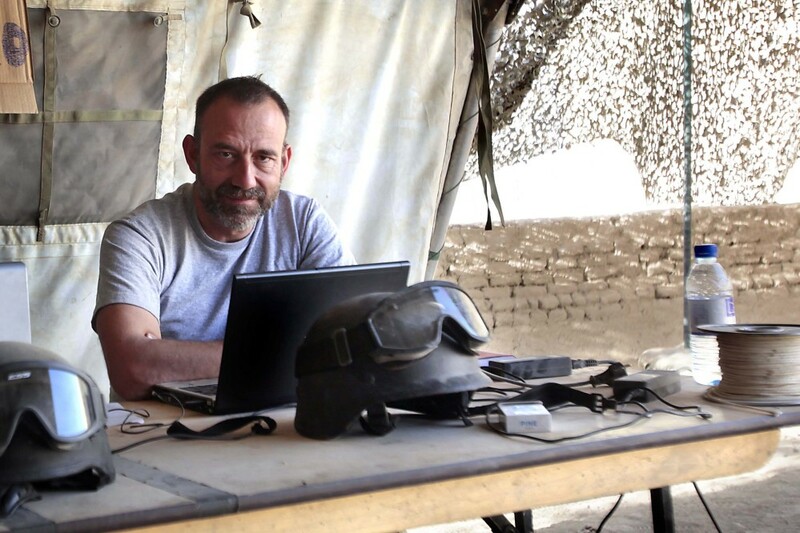 Correspondent Marc Marginedas was abducted on Sept. 4 near the central Syrian city of Hama by Islamic State fighters. He was “moved repeatedly” while in captivity, and his captors accused him of being a spy before his release, his newspaper El Periodico said. The newspaper did not elaborate on how Marginedas was released or whether a ransom was paid. It said he was undergoing medical tests in Turkey. Syria, engulfed in a three-year conflict, is the most dangerous country in the world for journalists. The New York-based Committee to Protect Journalists estimates more than 30 international and local reporters are currently in captivity. The vast majority of the kidnappings over the past six months have occurred in opposition-held parts of northern and eastern Syria, where the Islamic State was particularly strong — and widely despised for their heavy handed tactics. Since December, a loose coalition of rebels has been fighting the militants. The fighters left towns north of Aleppo, including Azaz near the Turkish border, activists said. They withdrew toward al-Bab and Manbij east of Aleppo, and to their stronghold in the eastern city of Raqqa, said an Aleppo-based activist who uses the name Abu Raed. As the Islamic State fighters withdrew, residents found at least two mass graves in their wake, Syrian activists said. It appeared the dead were Syrian rebels belonging to rival brigades or activists, Abu Raed said. One grave near a bombed flour mill contained 17 bodies, said Rami Abdurrahman of the British-based Syrian Observatory for Human Rights. The other had five, he said. “Some of the bodies were tortured. Some bodies were decapitated. Some had hands cut off, feet cut off,” said an activist who identified as Abu Mahmoud, who said he filmed residents uncovering the graves. Abu Mahmoud and activist Abu Raed said there were five grave sites found in areas once held by the Islamic State, but said there could be more. Both activists said residents would never allow Islamic State fighters to return. Meanwhile, government airstrikes killed at least 13 people in a northwestern border town, activists said. The strikes hit buildings in the town of Kfar Takharim in the northwest province of Idlib on Saturday afternoon, according to the Idlib News group and the Syrian Observatory. Similar bombardments throughout rebel-held areas seems sometimes intended to push civilians out, allowing Syrian forces a freer hand to tackle rebels. Syria’s government also has blockaded opposition-held areas throughout the country, punishing civilians for harboring rebels in their midst. Over the past few weeks, some rebel-held areas have surrendered their weapons or agreed to truces, in exchange for allowing food to enter and people to leave. On Sunday, the government organized a tour for journalists of one such area, the town of Moadamiyeh near Damascus, though they weren’t allowed to enter. At least 40 pickup trucks and vehicles crossed into the area, filled with returning families who fled the fighting. About 5,000 people were evacuated from Moadamiyeh in August and October by the Syrian Red Crescent during a series of truces. A year’s blockade on Moadamiyeh caused widespread hunger and deaths from hunger-related illnesses among residents. Hadid reported from Beirut. Associated Press writer Harold Heckle in Madrid contributed to this report.